Robert Tauler is a trial lawyer specializing in false advertising. Mr. Tauler has won several multi-million dollar jury trials, including most recently a $10 million dollar jury verdict against a prominent nutritional supplement company. Mr. Tauler was named Attorney of the Year in 2016 by the Westside Bar Association. Mr. Tauler has previously worked at the law firm of Greenberg Traurig in Los Angeles, where his experience ranged from representing Fortune 500 companies, such as Citigroup and IAC to start-ups and charitable foundations. Mr. Tauler obtained his J.D. from Harvard Law School. Prior to graduation, he was a judicial clerk for the Honorable John Lim in the Intermediate Court of Appeals of Hawaii. He earned his B.A. in political science with honors from the University of California, Irvine. 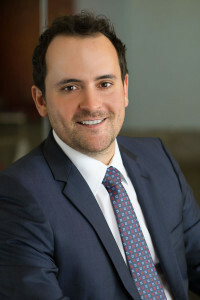 Mr. Tauler is admitted to practice law in the state of California, and is licensed to practice before the U.S. District Court, in the Central, Southern and Eastern Districts of California. Additionally, Mr. Tauler has been admitted pro hac vice and litigated matters in Arizona, Arkansas, Massachusetts, Oklahoma and Wisconsin. Won $10 million dollar jury verdict against supplement manufacturer in breach of fiduciary and conversion action. The jury awarded over a million dollars punitive damages and emotional damages. Part of trial team obtaining 2.1 million dollar verdict in Chinese investment dispute. Obtained dismissal on motion to dismiss in lawsuit brought by law firm against national recruiting firm. The dismissal was affirmed on appeal. Obtained dismissal of suit brought by Starbucks Corporation against outdoor furniture company. Obtained voluntary dismissal of lawsuit brought by competitor of national recruiting firm alleging unfair business practices. Obtained trial verdict for defendant in personal injury claim stemming from vehicular misconduct. Represented film producers in litigation arising out of feature length award-winning documentary. Represented major fashion designer in intellectual property litigation involving handbag design. Board member of Freedom Writers Foundation, a non-profit dedicated to empowering educators and students to positively impact their own lives and the world around them. Co-founder of LSAT Freedom, a venture backed online LSAT prep course.